Business Buzz: How To Start Precast Compound Wall Bricks Business? How To Start Precast Compound Wall Bricks Business? The precast compound wall bricks business are developing rapidly in India. Every business segment, the new technology, and innovative ideas are implemented by Business people in the same field. Like that precast compound, wall bricks are also innovated in the market, this business was successfully market was taking place in India. The positive side of this compound wall bricks is low in price and less time consumption in construction when compared to the normal bricks. The construction part of this precast compound wall bricks looks nice finishing after construction. this is the main reason, the people prefer to using this precast compound wall bricks for construction. If you are looking to Start Precast Compound Wall Bricks Business, your decision is awesome and also this is the right time to start. Why, because the demand for is precast compound wall bricks are increasing on daily basis. So, let us see what are the requirements to start the precast compound wall bricks business in India. Investment For Precast Compound Wall Bricks Business. The very first thing for every business is capital for business, arrange the capital on your own or you can go on loan. For this precast compound wall bricks business, the estimation of investment will be a minimum of 5 lakhs to a maximum of 50 lacs and more, it will depend on your sales and production. You are in the startup business stage, better to go very low investment for your safe side. 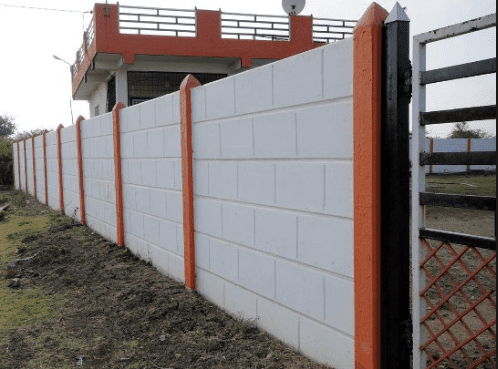 What Are Requirements To Start to Precast Compound Wall Bicks Business? 1/2 acre land for rent or lease. If you have own and it is better. Water is mandatory for curing the bricks. Arrange two to three rooms for labor stay on the same premises. Do not construct any shied on manufacturing process area, leave it as open. Buy a precast compound wall bricks making the machine, suppliers are available in the market you can also search in online you can find. Brick block boxes of different sizes. RAW Materials for this manufacturing process they are sand, gravel stones, small size steel rods, cement and also used engine oil. Labour also required. the number of labor will depend on your daily production. Required a mini goods vehicle for delivery the material to your customers. Also Read. How To Start A Software Development Company? Marketing plays a key role in success for any business. for this precast compound wall bricks business also marketing is very important. Main target customers for this business is builders, contractors, realtors and also new constructing houses and compound walls. focus on this business persons you will get regular orders. Advertise your business on Facebook, WhatsApp, wall painting and also on the local tv channel. For every business, the advertisement is the very first step to create branding for your product. all the multinational companies are spending the crores of rupees for advertising their brand. Social media is one of the best and most powerful advertising platforms for free. use this source to advertise your business. Be positive and confident, start your own business with strong commitment and set the long-term goal and start your journey you will succeed "All the best". Please subscribe to my website you will get new updates and news.